Developer Quote: "Pinball HD will change your idea of Pinball on the iPad. You'll be stunned with the level of realism." - In portrait mode slide up or down your thumbs to toggle camera view from "flying-table" to "full table"
- Built in help for each table. Tap the circled "I" at the bottom right of each table to get a display detailing instructions and descriptions of the features of each table. Make sure to swipe left and right when viewing since the instructions don't fit on one screen. - Stereoscopic imaging option (requires anaglyph eyeglasses). You can choose between red-cyan, green-magenta or yellow-blue lenses. 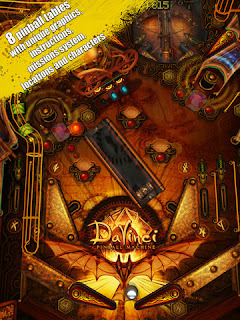 Enjoy all the fun of pinball without having to leave your home and cozy chair. 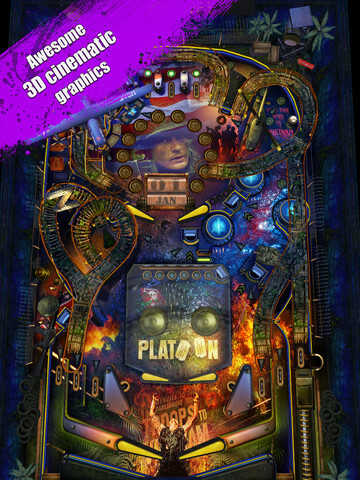 The many different game levels and tables provide hours of entertainment and relaxation, while the realistic simulation will have you pretty amazed at the ingenuity infused in Pinball HD Collection. COOL CONCLUSION: "Pinball HD Collection gives you amazing physics, sharp 3D graphics and electronic gameplay in the palm of your hands second to none!"